Insomniac has just announced the lineup for EDC Week 2018. 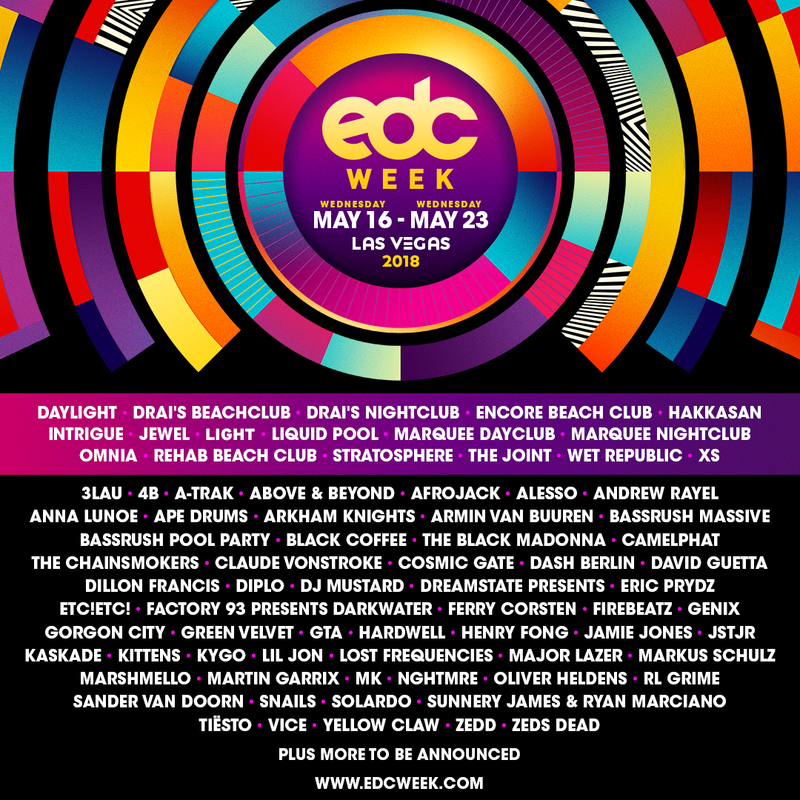 Leading up to the 22nd edition of North America’s largest dance music festival, Electric Daisy Carnival, hosted at the Las Vegas Motor Speedway, globally renowned dance music artists will travel to the Las Vegas Strip’s premier indoor and outdoor venues to kick-off the three-day, dusk till dawn event. Featuring a stellar roster of over 55 artists, top-notch performances will illuminate the Las Vegas Strip during massive day club and nightclub parties.